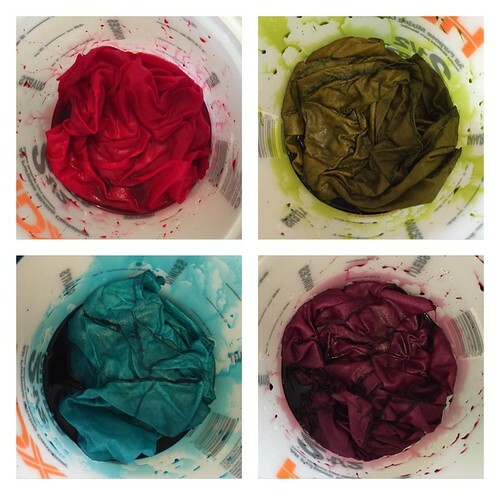 Are you dying to dye your own fabric? 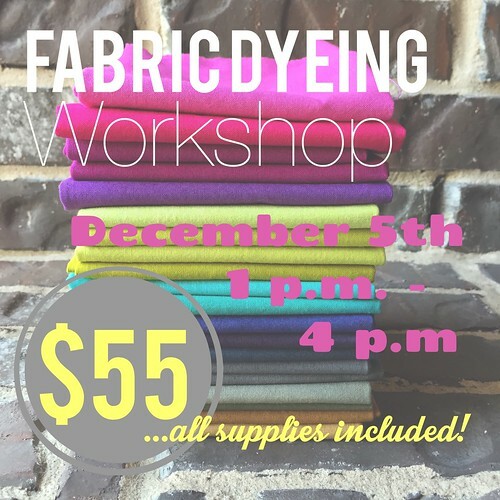 If you are local to the Dallas area, I will be hosting a fabric dyeing workshop on December 5th from 1 p.m. - 4 p.m. out of my home. 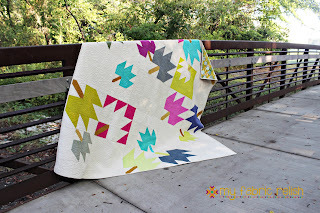 Fabric dyeing can be messy but it is so much fun and super rewarding! I like to dye my fabric in my garage and laundry room because of the mess it makes so I decided to open my home and let you make a mess with me! So what does this workshop include? 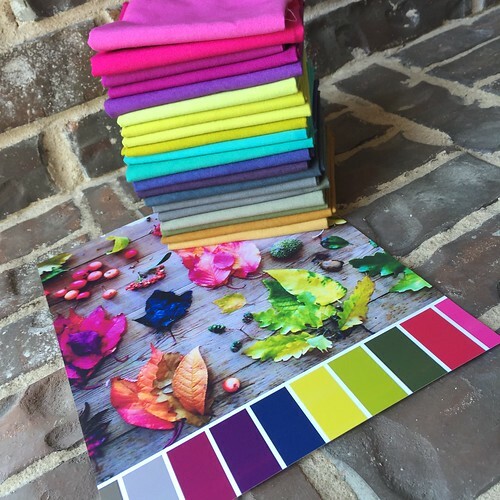 I will talk a little bit about color theory, mixing dyes to achieve certain colors, and the whole dying process. 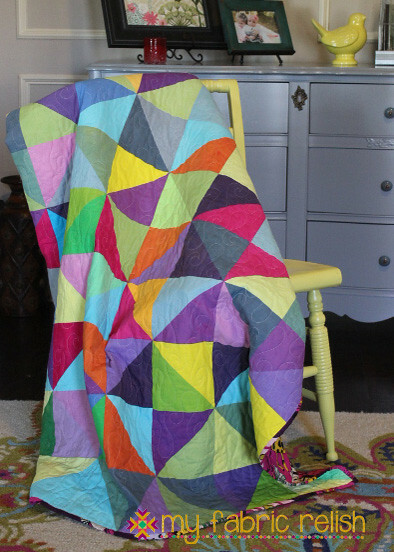 You will then get to hand-dye your own 12 fat quarters! Lucky for you, I will do all the rinsing and washing - which is the hardest part! 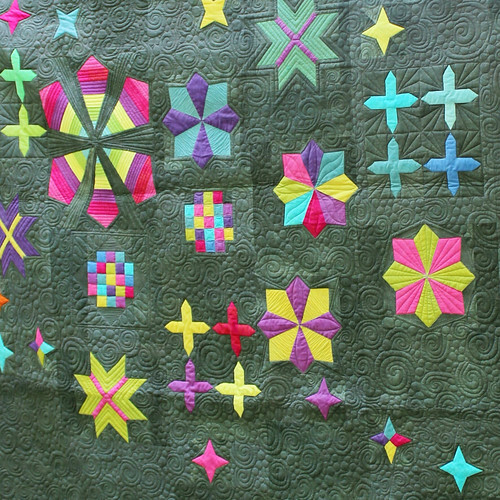 The class fee will include the instructions, fabric for dyeing, and dyes to use in class. You will need to leave your fabric here to be washed, so if you live far away and can't come by later in the week to pick it up, I will be happy to ship it to you for $5. I will have additional add-on items to purchase and will send those details out in an email later. Hope that you'll join me!! That is so cool. Love your quilts. I bought some kona solid and didn't realize it was for dying. Can I use it just as I would any solid?